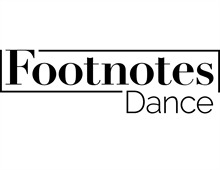 Register for Footnotes Dance and Fitness. I recognize what potentially severe injuries, including permanent paralysis or death can occur in sports or activities involving motion, including but not limited to dance, special events, games, and parties. Being fully aware of these dangers, I voluntarily consent to the aforementioned person(s) participating in any and all Footnotes Dance programs and activities and I ACCEPT ALL RISKS associated with that participation. As the legal parent or guardian, I release and hold harmless Footnotes Dance & Fitness, its owners and operators from any and all liability, claims, demands, and causes of action whatsoever, arising out of or related to any loss, damage, or injury, including death, that may be sustained by the participant and/or the undersigned, while in or upon the premises or in route to or from any of said premises. I understand that appropriate physical contact is required during the instruction of dance, and I give permission for instructors to make appropriate physical contact with me or my child for such instruction. As the legal parent or guardian, I give permission to Footnotes, its owners and operators to seek medical treatment for the participant in the event they are not able to reach a parent or guardian. I hereby declare any physical/mental problems, restrictions, or conditions and/or declare the participant to be in good physical and mental health. I give permission for Footnotes to take photos of me or my child while participating in Footnotes activities for promotional purposes. Names of students will not be used or disclosed. I understand that for the safety of our dancers and their families, all photos and or videos of Footnotes classes, rehearsals and/or performances, including dancers in Footnotes costumes, will not be published or posted publicly, in printed or electronic format, without the express written permission of Footnotes. I understand that I am financially responsible to Footnotes Dance Studio for tuition, dance costumes, and any associated fees. The parent or guardian who signs the registration/waive forms will be responsible for all payments of fees, tuition and costumes. Tuition is due on the 1st of each month. If tuition is not paid by the 15th of the month, a $20 late fee will be added to the bill. We except major credit cards, checks, cash, and PayPal payments can be made through our website. Recital costumes will be billed at the beginning of the dance year and must be paid in full by December 1st. Costumes will not be ordered until they are paid in full. Dancers who are not current on tuition and fees may be restricted from participating in classes. All fees must be paid in full or your dancer will not be allowed to perform in the May recital.